Despite conservative assertions, there is not much evidence that employers decided not to grow their businesses because of the mandate that all but small businesses provide health insurance. Nor does it seem that employers disrupted their organizations by shifting employees from full to part-time to limit the reach of the mandate. 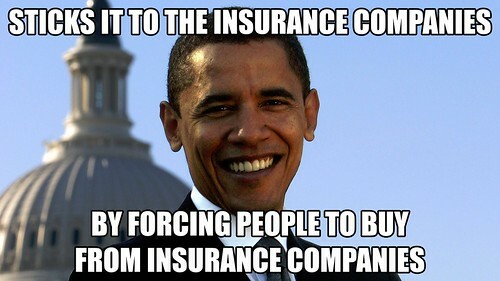 There is at least anecdotal evidence that Obamacare made it easier for some people to work as independent entrepreneurs because they did not have to join a large company to get a deal on health insurance. The big-picture on jobs is that the ACA can be considered as something of a model of a centrist job-creation program. First, it subsidizes useful activities that improve the quality of life for dozens of millions of people. Second, in a saner political atmosphere than the one we inhabit today, the ACA would have broad appeal, even to centrist-conservatives. It does not eliminate private-sector insurers and it includes mandates that were once championed by the extremely conservative Heritage Foundation and by Republican Mitt Romney when he was governor of Massachusetts. Third, the left should be happy that the ACA is partly financed by progressive taxes on the wealthy; from the most affluent it takes dollars that may be doing nothing useful and uses them to expand health care and create new jobs. And that brings us to the fourth point: the ACA gave an already expanding job sector a shot of adrenaline, adding as many as 500,000 health-care jobs. On the profoundly negative side is the fact that the ACA did nothing to control the costs of health insurance, drugs and medical care. And as a job program the ACA creates many good jobs for nurses and doctors but also many that are not so good. A $15 federal minimum wage would be a good start here and it would help many more people than trying to open a couple of coal mines. Democrats ought to present a program to lift health care workers, control the cost of drugs, and lift the income levels at which families get a subsidy of some kind. Some day the Trumpian dirt and dust might settle. Democrats ought to be ready. They should be broadcasting a strong message about the minimum wage and about useful reforms to Obamacare in preparation for the 2018 elections. Not having much of an economic program did not work in 2016. Frank Stricker is a member of the National Jobs for All Coalition and the author of Why America Lost the War on Poverty--and How to Win It (2007). Notes: Nelson D. Schwartz and Reed Abelson, "Health Act Repeal Could Threaten Job Engine," New York Times, May 7, 2017, 1, 14; Dan Mangan, "500,000 Jobs Added to Health-Care Sector under Obamacare, Goldman Sachs Estimates," March 23, 2017, accessed 8/5/2017, at cnbc/2017/03/23/500000-jobs-added-to-health-sector-under-obamacare-goldman; and Vann R. Newskirk II, "Repealing Obamacare Could Kill Jobs," The Atlantic, January 10, 2017, accessed 8/5/2017, at theatlantic.com/politics/archive/ 2017/01/obamacare-economic-effects-repeal. ProfessorEmeritus of History, Labor and Interdisciplinary Studies, California State University, Dominguez Hills. Happy New Year, Sure, But Why Aren't Wages Soaring? Bring Back the Jobs. But How Many?